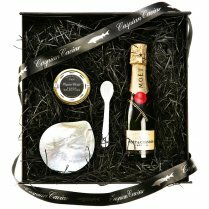 Our finest Oscietra Caviar accompanied with award winning U’Luvka Vodka. 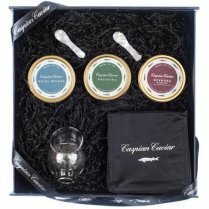 Presented in a beautiful gift box with two shot glasses, this makes a perfect present for anybody who likes the good things in life. 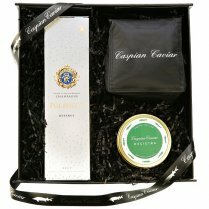 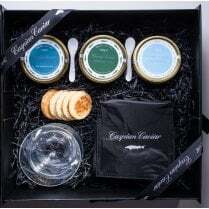 Please note that all caviar products should be refrigerated upon receipt.